Asked what the driver of our largely capitalist economy is, most entrepreneurs, shareholders and CEOs will insist it is “the profit motive”. But, even though wages and salaries are, by definition and in practice, also essential economic motivators, virtually no one will mention “the wage motive” or “salary motive” (although I did, in Part I of this analysis, “ Where is Henry Ford’s ‘Wage Motive’ in the ‘Not-So-Great Today’”?). This strange omission, oversight or outright exclusion from the economic conversation is weird and in need of some explanation(s)—to be offered here, to complete the analysis begun in Part I. It is indeed weird, especially since, nearly a century ago, as popularizer of the family-friendly Model-T and one of the foremost capitalists in history, Henry Ford, explicitly claimed that the “wage motive” is the single most important key for a successful business—even more important than the profit motive. Not only did Ford assert that the wage motive is key, but also that it should be the primary motivation of managers overseeing a company’s wage earners. How did Ford seemingly upend capitalism and argue that wages, not profits drive the economy?—by identifying consumer demand rather than corporate profits as the economy’s spark plug. As he conceived it, the “wage motive” is effective management’s (rather than the toiling workers’?) goal: the goal of “enlarging buying power by paying workers high wages and selling at low prices” (Great Today and Greater Future, page 11). To argue his point, Ford advanced the prima facie counter-intuitive notion that profits were important mostly as a means to higher wages (with which his Model-Ts could be made affordable, yet sold at a profit). When reinvested into the company for purposes such as creating greater efficiencies and economies of scale, profits lower costs, he (and Crowther) said. Lower costs for the consumer-worker means, Ford argued, a relative, if not absolute increase in wages. So, profits contribute to (relatively) higher wages, which expand consumer-worker buying power (which, on greater reflection, also strangely sounds like an argument for the otherwise denied comparable centrality of the profit motive). Of course, for Ford the man, to sell at low prices meant achieving great economies of scale and, therefore, having to conveniently become a very big company—like Ford, the current corporation. As Henry put it (with an altruistic spin), “Any business founded on the wage motive and motivated solely with the thought of service must grow big.” (Ibid. page 12). To say that “nobody” is talking about the wage or salary motive may seem like an exaggeration—but, in fact, it is not much of one. For each Google reference to “wage motive”, there are 431 references to the “profit motive”. The “salary motive” fares much worse: a dwarfing 2090-to-1 ratio. Moreover, much of the scant talk about these available on the Internet is highly academic, e.g., a book citation of Oxford philosopher Antony Flew’s dismissal of not only “wage motive”, but also “profit motive” and “interest motive” as peculiar ideas. So, why is that? Here are two conjectures. Lingering effects of McCarthyism: The Cold War “Red Scare” and 1950’s McCarthy-incited witch-hunts for radicals, revolutionaries, spies and subversives made, then and thereafter, any talk about “wage motive” riskier than in Ford’s day (even though the specter of Marxism already loomed large in Europe then). Try this free association test: Say the first thing that pops into your mind when you think “wage motive”. Hard to do, now that you’ve read this far. But, chances are that before you had read anything about the wage motive (including either Part I or Part II of this analysis), and assuming “wage motive” made any sense to you, you might have thought “worker” or “worker goals”, “needs of workers”, “rights of workers”, or some such thing, like starting to hum “The Internationale” and—in the McCarthy era—thoughts about being hounded to sing before a Senate committee on un-American activities. In terms of fears of worker revolts, these two correspond to the fear of waking and sleeping dragons, respectively. Now try free-associating “salary motive”. My guess is that the associations are more neutral, if not difficult to summon up at all. But, since a salary motive is more like a wage motive than it is like a profit motive, it is likely to induce a kind of guilt or fear by association with a wage motive and be relegated to simmering on the backburner of economic history. That said, it remains to wonder why the salary motive is even more invisible than the wage motive (in terms of Internet citations)—especially since it seems rather less menacing to those wary of workers’ movements and demands. That kind of fear can exert a grip or at least an inhibiting influence long after its sponsors and the worst have passed, much as the fear of a return visit of a tyrannical mother-in-law can linger even just after she has flown home. Perception of Wage Earners as “Human Resources” and “Factors of Production”: Since the basic model of capitalism identifies labor as a “factor of production”—along with the likes of land, machinery and cash, it is tempting to conclude that since a worker’s labor is a “resource”, the worker himself is a resource: a “human resource”. A corporation, on the other hand, is a resource organizer—a “resourceful/resource-full” organizer, if you will, not merely a resource. Accordingly, in the conventional view, the corporation’s motive force, the profit motive, is paramount. Hence, with a bit more logical maneuvering, it may seem reasonable to argue that, since physical capital and resources, such as wood and machinery, do not have “motives”, the ascription of motives, such as wage or salary motives, to other resources—including human resources or industrial robots—is not a high priority and perhaps not even sensible (politically or conceptually). On this view, earning a wage or a salary (as opposed to the rarely-mentioned motive to do so) is best understood as merely a consequence of doing business, not as an incentive to do it. 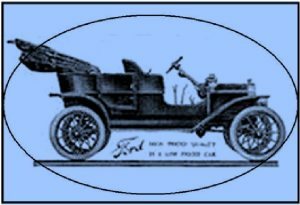 Weighing such arguments and counter-arguments, it quickly becomes evident that there is another useful allusion to Henry’s Model-T Ford. The debate, like the car itself, can drive you around the bend if it gets out of hand.